The second day of the Co-op Hop didn't rack up as many miles on the odometer as the first, coming in at only 180 miles after a couple of test drives. But the experience was just as expansive. 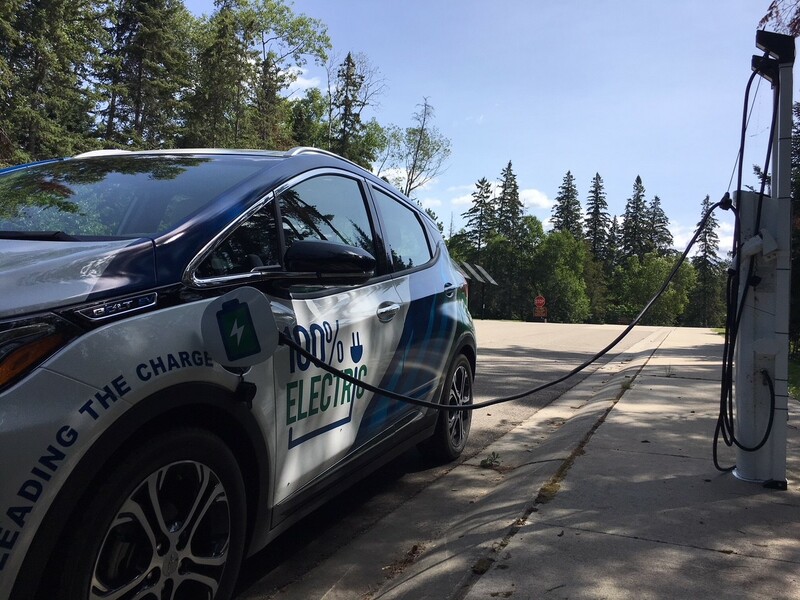 It started in the early morning hours at my hotel parking lot in Bemidji, Minn., where I came across something that sparked a sense of kinship: a Chevy Volt hybrid plugged into a 120v outlet on the wall of the building. I knew I would be doing the same that night in Roseau, Minn., my final destination of the day -- I was looking into my own future. When electricity drives you, you find the power where you can. Best of luck, buddy Volt. But there was no time for sentiment. 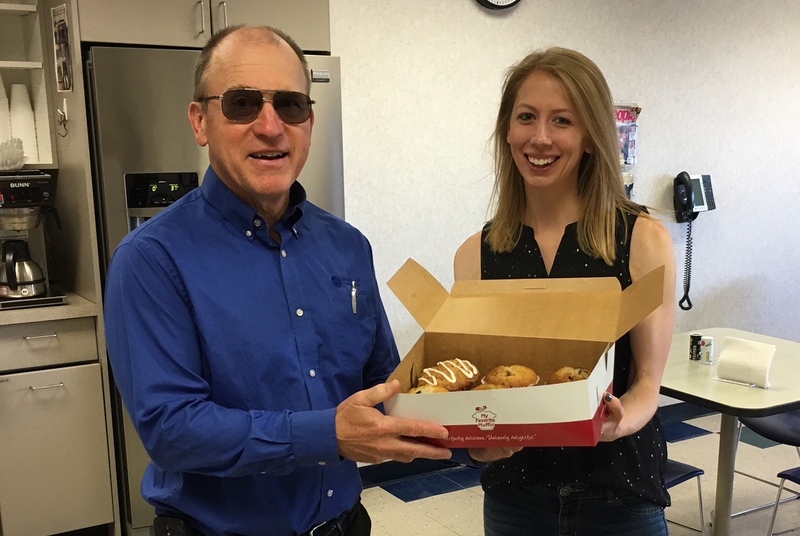 I was headed to Beltrami Electric Cooperative on the other side of town to chat with Sam Mason and his Member and Energy Services team. I came loaded with giant muffins from a local bagel shop, because I was not only asking for Sam's advice on properly leveraging an EV in the fleet (Beltrami Electric has had its own Bolt since April), but I was also hooking up to Beltrami's onsite Direct Current (DC) charger to top off my battery for the day's journey. Beltrami Electric's onsite DC and Level 2 chargers are connected to its solar garden, providing a charge with renewable energy as it's available. You provide me with charging solutions and knowledge, and I return the favor with rhubarb, chocolate chips and poppy seeds. It was the Bolt's first DC charge, and I felt like a proud momma watching those first steps. My heart warmed as I plugged in and followed Sam and his colleague Bob inside for a quick tour of the co-op. We were going to get a photo of the two Bolts together, but another team member had Beltrami's car at a meeting -- a good sign that it was getting good use. Sam and I had a great discussion about the future of EVs and charging infrastructure in Minnesota. He was kind enough to show me the web management system he uses to track the usage of the Beltrami-sponsored public charging stations at their headquarters and at recreation areas in Blackduck and Waskish, Minn. When I checked on the DC charge of the Bolt an hour later, I had already gone from an anticipated 117 miles to a fully charged 246 miles. Yep, that's 129 miles added in no time flat. I was a DC charge believer. 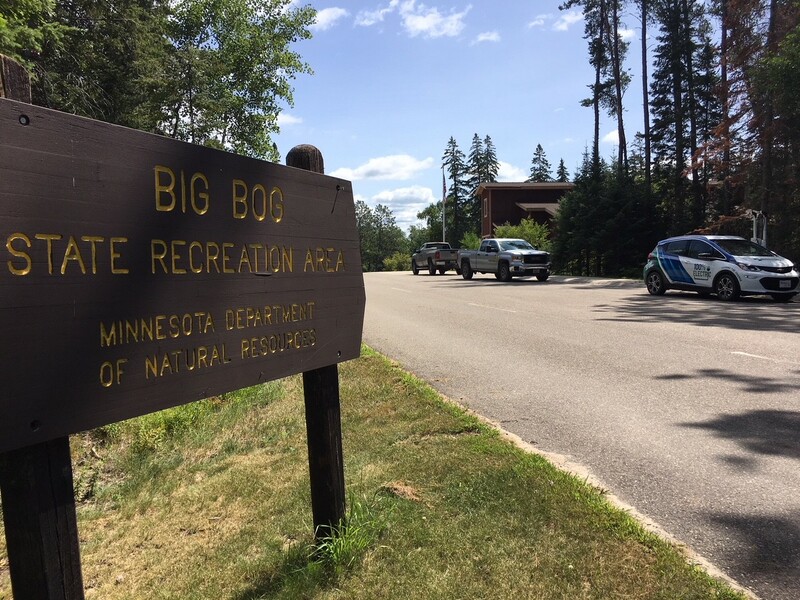 My next stop was 60 miles away, at Beltrami's Level 2 charger at Big Bog State Recreation Area. I pulled up to the two-port charger, and as I swiped my credit card to pay the small fee, a car rolled to a stop next to me. The two men inside had some great questions about the car, adding that they've been to this site many times and have never seen the station used. "I bet that will be changing in the near future," I responded with a smile. This charging station was a nice hidden gem between Bemidji, Minn., and Baudette, Minn. Since I had a couple of hours to kill while I got back to my full charge, I took advantage of the gorgeous, sunny day and ate a packed lunch at one of the visitor center's picnic tables. 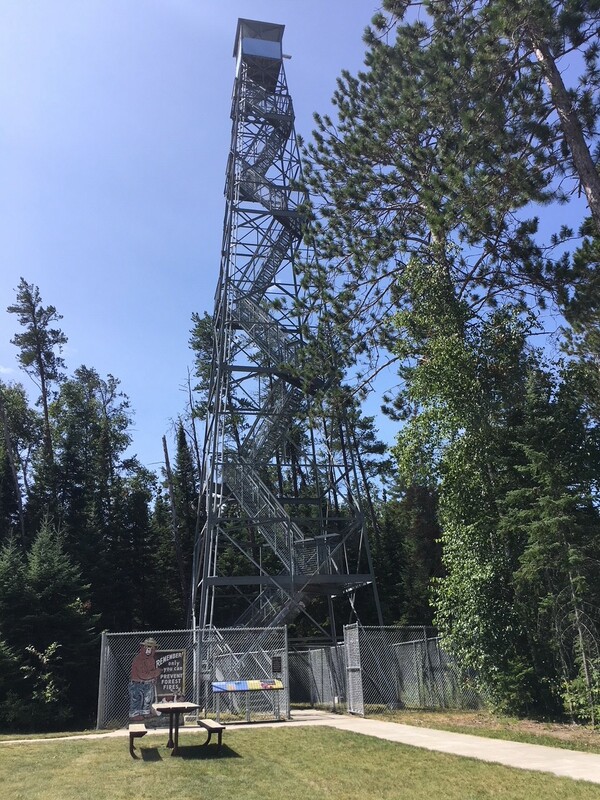 It was situated at the base of a 100-foot-tall fire tower, which was open for guests to climb. I climbed it. And the view was outstanding. ...and the payoff for getting to the top. 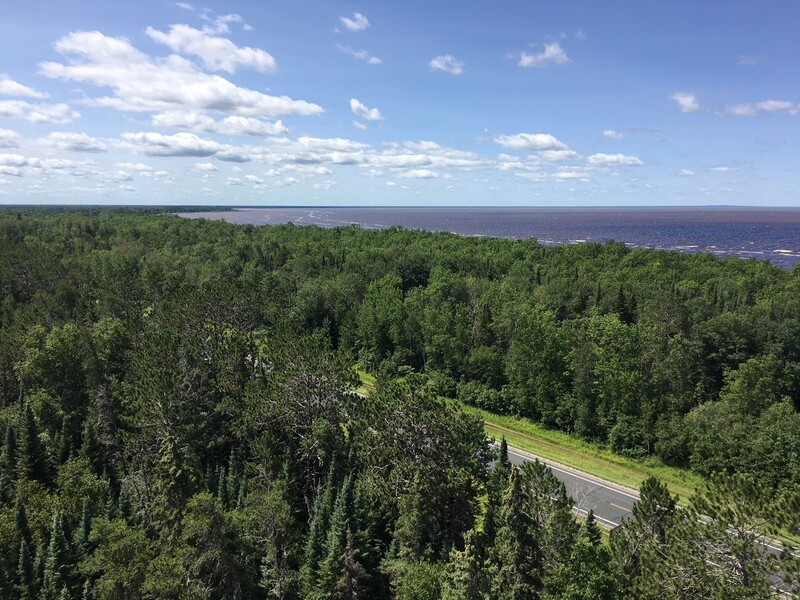 WIth my Bolt back to full bars (from 181 miles to 243 miles in a little over two hours), I was on the road to Baudette to visit North Star Electric Cooperative. I was lucky that temperature was hanging in the mid-70s, because I could use that natural Minnesota air and the Bolt's fans to keep the cab cool, eliminating the need for battery-draining climate control. I was going to have plenty of charge to give test drives! And plenty for a quick photo with Willie Walleye! It's not a trip to Baudette without a snapshot with Willie. I had a great, engaged crew at North Star. They were so much fun and had so many questions, some of which had never crossed my mind (extra research for next time). One employee, Nick, actually owns a Chevy Volt hybrid, so I had a chance to ask him about his experiences. North Star member Mary took me up on my offer to take a drive and commented that the Bolt "drives like butter." I couldn't agree more, Mary. It's that smooth. I even caught a couple of linemen, Tim and Darren, as they wrapped up their shifts. Tim took it for a spin on the highway and agreed that it was a comfortable drive. But he wasn't giving up his pickup anytime soon, and that's a-okay. This North Star group soaked in all they could during their time with Bolt, taking photos and video and diving deep into the inquiry bucket. I loved it! I bid the North Star crew adieu and headed off on my last 60-mile stretch to Roseau, Minn. Even with the test drives, my remaining energy was more than I expected at this point. However, a tough Minnesota wind had started to whip up, and my expended kWh remained high the entire way. My efficiency dipped, but I still ended my day close to my goal. I plugged into a 120v outlet at my hotel at about 5:15 p.m., setting the Bolt up for a good 14 hours of charging. Four hundred and thirty-six miles into my trip, I've had nothing but great fortune and incredibly fulfilling interactions with our member cooperatives and community members. And I still have two more days ahead of me. How lucky am I?